2019 Sustainable Communities Festival Committee is ready !! 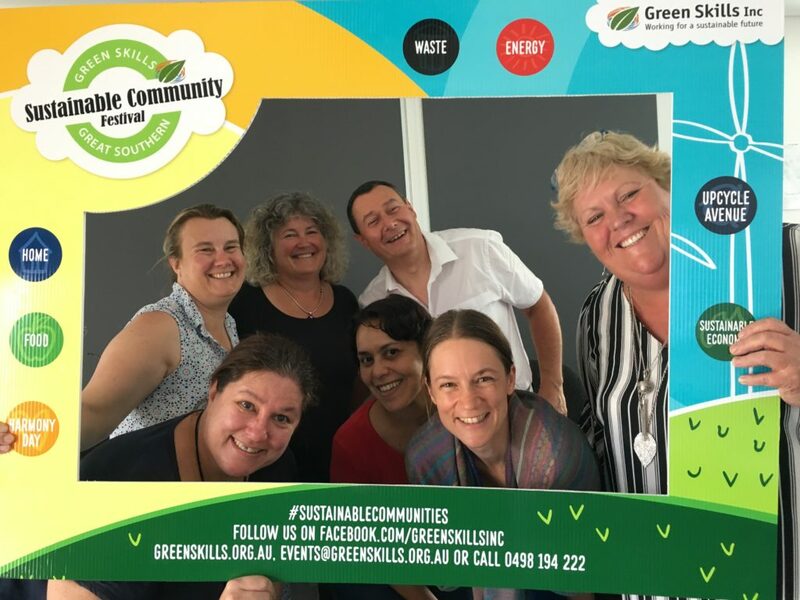 The 2019 Green Skills Sustainable Communities Festival Committee is all geared up for Saturday 23rd March in the Albany Town Square. We have 50 plus stalls showcasing great multicultural food, upcycled items for home and garden, waste tips and tricks, Pop-up gardens, kids activities, well being products, making repairs, energy efficiency, water efficiency, music, plants, art, books, cakes and much more. It’s the second last day of harmony week and our partners, the Rainbow Coast Neighbourhood Centre, have a great range of entertainment lined up. This includes belly dancing, the Karen Choir, the Perth International Dance Troop, the Irish Limerick Singers, a Karen weaving display and a Hazarra Martial Arts display. Students from the Albany Senior High School have produced a signed a 4m banner as tribute to the tragic events in New Zealand this week which we will be displaying. And don’t forget the School Cook-Off in the morning. Contact the Albany office on 9842 1334 or email [email protected] to book your spot in a workshop. Ride your bike to the event and get a free voucher for coffee, hot chocolate, tea or Chai latte.